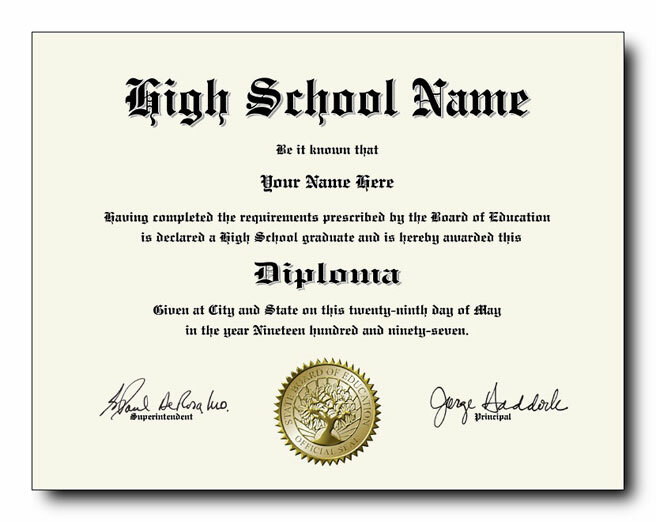 All high school diplomas come with our State Board of Education embossed gold foil diploma seal. REMINDER: Your diploma will be made in our Traditional high school diploma template with the information you provide below. 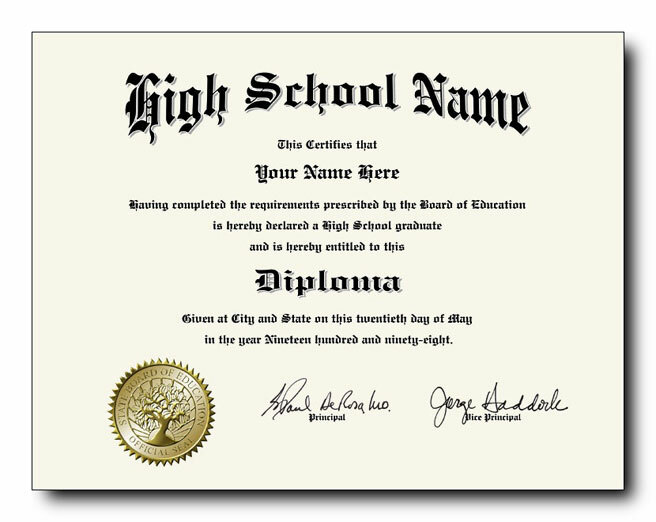 REMINDER: Your diploma will be made using our Contemporary high school diploma template with the information you provide below.